A sand artist creates beautiful artefacts using sand. It takes years of perfection and expertise to become a sand artist. Artist on Demand bring to you the performance of a skilled, professional artist which will leave you gasping with amazement. Book our sand artists for your event or special occasion and ensure your message is successfully conveyed through this original story-telling form.Our sand artists create custom sand art animations and always wowguests with the speed at which they work. Our experts are committed to work closely with you in order to provide a service that meets and exceeds your expectations. They are accompanied by a number of side artists. This team of specialists in live sand animation creates custom sand art stories by mixing music, light and beautiful sand drawings. Oursand artists pour extra thin sand onto a white glass surface, allowing large audiences to witness how a story is created on a big screen. The story is told in a unique and innovative way. An innovative and unique way to convey a message, live sand animation is loved by people of all ages. This art form is a universal language: the perfect way for business to put their brand on the map and transmit your values to clients from all over the world.Live sand animation is a popular art-based entertainment option for a wide range of occasions. 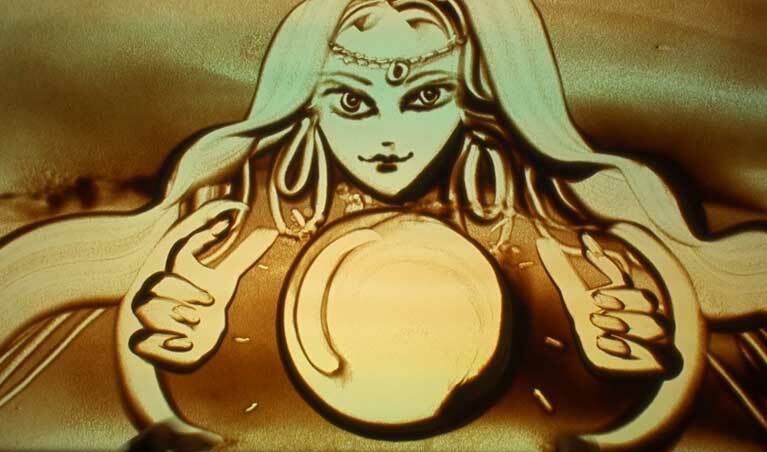 Custom sand art stories always are a huge success among guests at corporate events, product launches, promotional events, ceremonies, galas, etc. Also, popular for weddings, birthday parties and anniversaries, our sand artists have delighted audiences all over Europe with their custom sand art masterpieces. Contact Artist on Demand for a fabulous performance, one that you will remember for a long time. Our artists are available at the best prices, much lower than other competitors. We will handle everything for you and ensure you have the best time of your life!